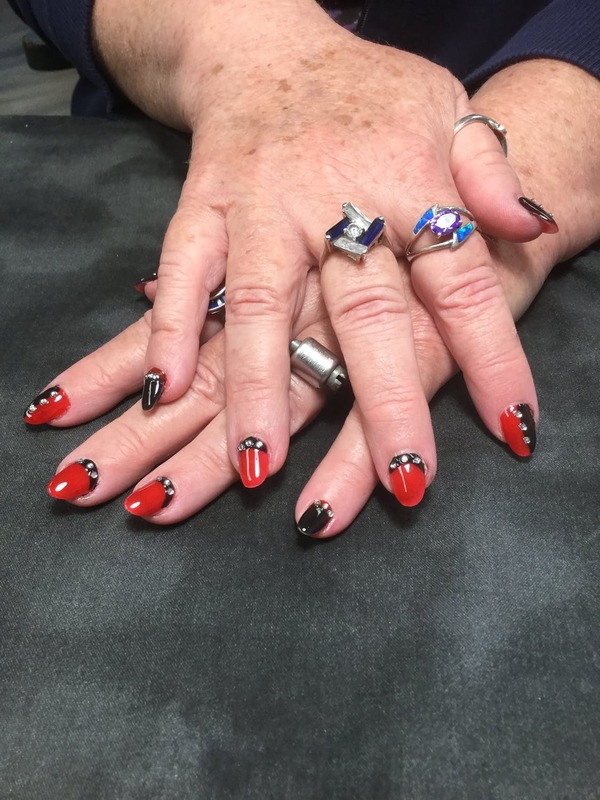 Shellac and gel are the most common nail enhancements or overlays in the beauty industry. They are the same in many aspects, but there are notable differences between them. In a nutshell, shellac is a thin nail polish whereas gel is a thick gel plus polish. This article unfolds the differences furthermore. Shellac is a thin nail polish which is cured under the UV lights during the application of each coat. Shellac is popularly known as a product of Creative Native Design (CND), and it is often referred to as CND Shellac. Between each applied coat, the polish is cured with the UV light. There are 116 known color variances of shellac. Because it is thin, it takes less time to apply or remove shellac. Unlike with gel, it requires no thinning of the nail to enhance adhesiveness. Basically, shellac is best suited to keep nails strong and healthy without affecting the original layer. It makes the nails look more glossy and stronger. Shellac is also easy to remove by dipping it in acetone to scrub the polish. It also does not require buffing of the nail. 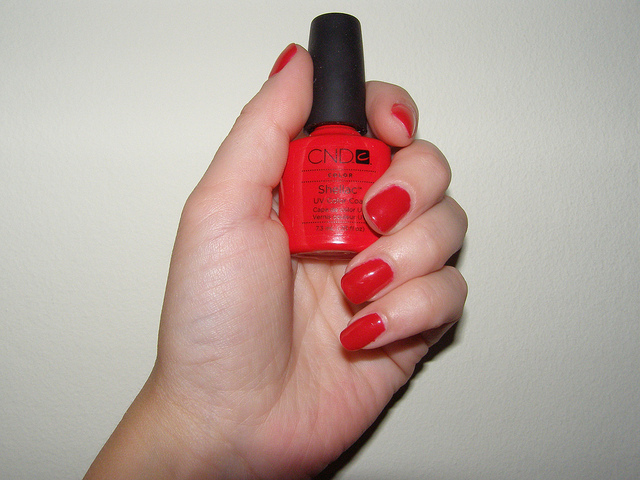 When applied, shellac lasts up to 14 days, a period less than the duration of gel due to the thickness of gel. Other conditions to which the nails are exposed to could shorten this duration. When applying shellac, it needs to be shaken gently to avoid the color settling down while its solvents floating. This may cause low quality. Gel, on the other hand, is wholly made of gel with no solvents added. Because of the chemical structure in shellac, it takes little time to remove with the acetone that it gel does due to its thickness. Gel (gelish) is a natural nail overlay used to give nails an enhanced and strong look. It is thick and can last for about 3 weeks before it chips away to be replaced. This duration surpasses the shellac’s duration. When applied, gel can be cured using the LED lamp or UV light. The LED light is relatively faster than the UV light when cooling the gel. To apply gel, the nail has to be filed gently to aid the adhesiveness because gel does not get absorbed readily on a smooth nail. A rough surface will enhance the adhesiveness, whereas with shellac no filing needed on the base coat. Gel is thick, so it lasts for a long time and can be worn if the wearer is often preoccupied with house chores on a daily basis. It will not chip due to the exposure to water. Gel is best suited to those with weaker nails or damaged nails as it adds a strong coat that will last for about 3 weeks. It protects nails more. Furthermore, it comes with 388 color variances in total. Like shellac, gel is removed by soaking it in acetone. However, it needs to be roughened up first to efficiently remove it using acetone so that the solution can penetrate the polish. Nonetheless, removal of gel takes less than 20 minutes. Wearers can decide to remove in salons or opt for DIY route. Shellac is a nail polish originally designed by Creative Nail Design. It gives nails a glossy finish that will last for about weeks. Shellac is made of solvents hence it needs to be shaken before the application. Gel (or Gelish) is a gel applied as a natural nail overlay to enhance it look and strength. Gel is thicker than shellac. Gel is applied by roughening up the nail surface so that it can adhere properly. Several coats are applied while being cured by either the LED light or the UV light. LED light is relatively faster: it can take about 30 seconds whereas the UV light can take about 2 minutes to efficiently cure the gel. Shellac, on the other hand, is applied without filing the nail bed. It is thin relative to gel and thus adheres without the need for a rough surface. Shellac is made of solvents; as thus, it needs to be shaken before applying it. There’s no waiting time for either of the nail overlays to cure. Both shellac and gel are removed using acetone as a solvent. However, shellac removes faster as it is thinner and needs no additional buffing of the top coat for the solvent to dissolve it. Gel needs to be roughened for acetone to penetrate it. It takes less time to remove shell compared to gel. Gel lasts about 3 weeks due to its thickness while shellac lasts about 2 weeks. Gel’s thickness make it suitable for everyday use as it does not chip away easily. Gel has about 388 color variances whereas shellac has about 116 color variances. Both nail overlays are removed by soaking them in acetone. But, gel takes longer and the nail has to be roughened up first for the acetone to penetrate the polish. Gel lasts for about 3 weeks while shellac lasts for about 2 weeks. Lusi Madisha. 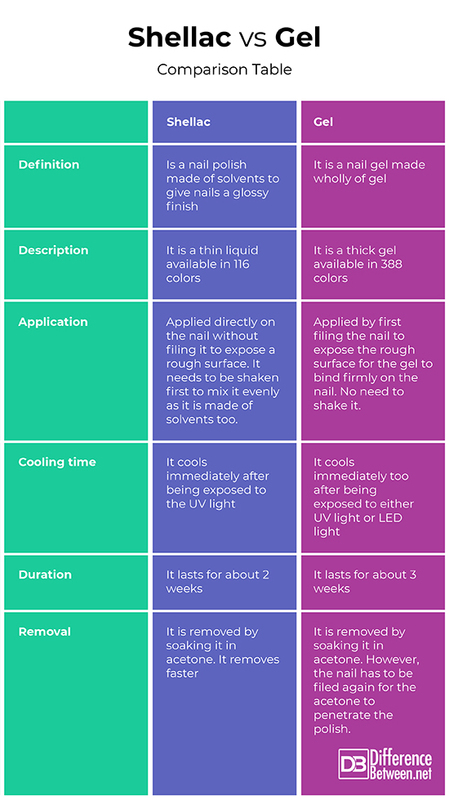 "Difference Between Shellac and Gel." DifferenceBetween.net. January 9, 2019 < http://www.differencebetween.net/miscellaneous/fashion-beauty/difference-between-shellac-and-gel/ >. Alejandro G. Marangoni, Nissim Garti (2018). Edible Oleogels: Structure and Health Implications. Elsevier. Lukaitis, N (27 July 2018). Shellac Vs Gel: What’s The Difference and Which One Is Better? Accessed at http://www.womenshealthmag.co.uk/beauty-style/skin/6919/shellac-vs-gel-nails/. Accessed on: 18 September 2018.